Most of the world knows Lake Placid as the venue for the 1980 winter Olympics and naturally, has become known for winter based activities -- Whiteface Mountain with its many ski jumps being one example, but the area has also gained its warm weather followers as there are plenty of summer activities for a family vacation. Getting to Lake Placid is easy. It’s less than a 5-hour drive from from New York City on the I-87 (only 3 hours from Montreal), and it is also connected by all major bus and train routes. Small flights also fly into Adirondack Regional Airport . The drive from the airport to Lake Placid is about 20 minutes. Here are the more popular destinations on a Lake Placid vacation. 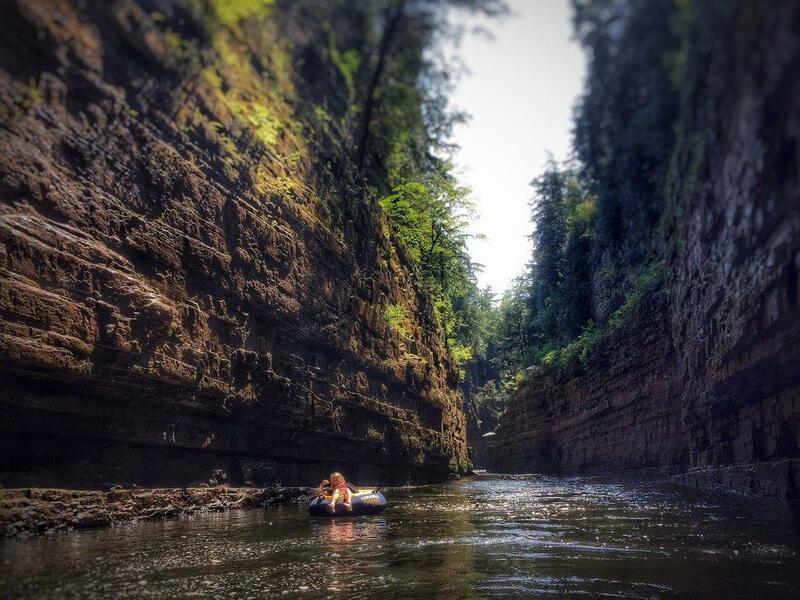 This scenic canyon in the Adirondack Forest is the oldest natural attraction in the United States. Down the Ausable River, there are plenty of activities for the whole family. You can go hiking, rafting or tubing by day or night. Elephants Head, Rainbow Falls and Grand Flume are some waterfalls you can go rock climbing or rappelling around. 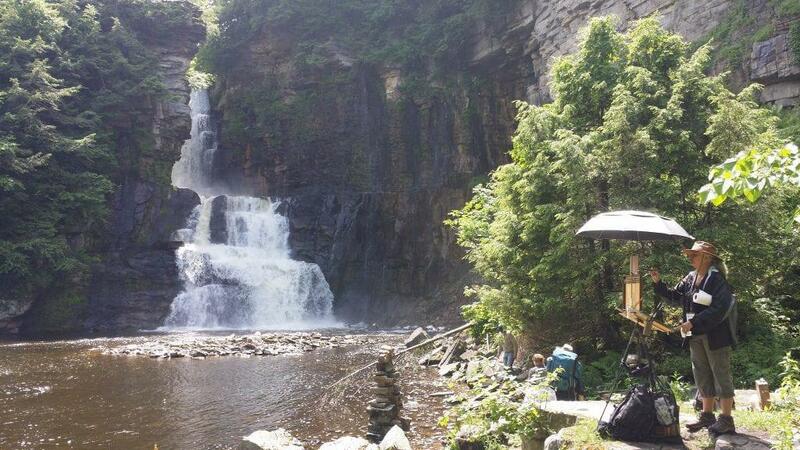 There are lots of campgrounds and RV hookups around the historic Ausable Chasm. Hear the voices of the indigenous people on a Wild Walk in the Wild Center. 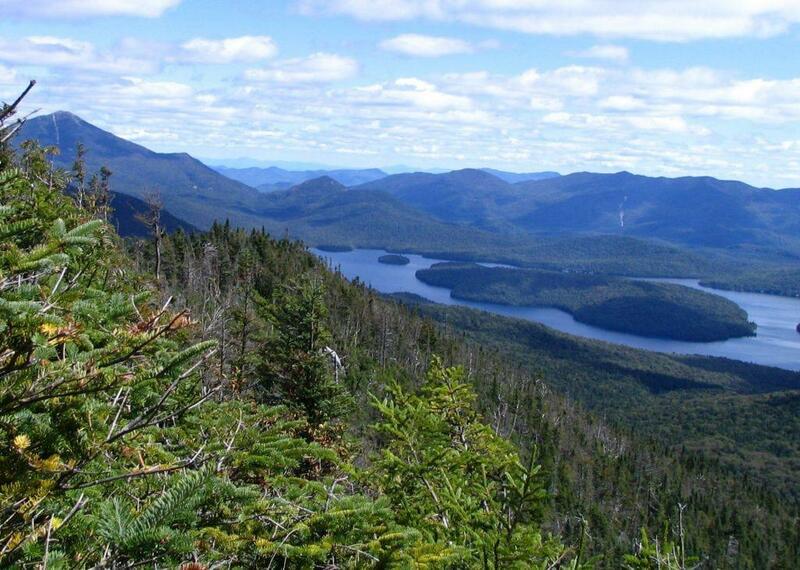 Learn about the natural habitat in the Adirondacks. The non-profit organization makes science and the natural world interesting for kids, millenials and parents alike. 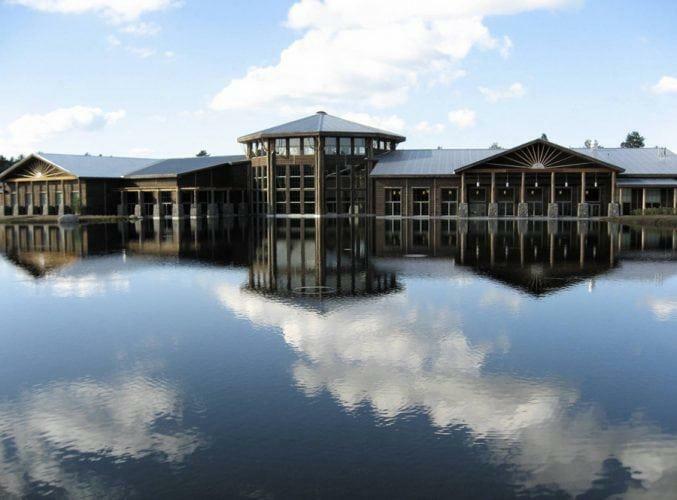 There are elevated pathways above the treetops to experience nature and the many exhibits of the Wild Center. 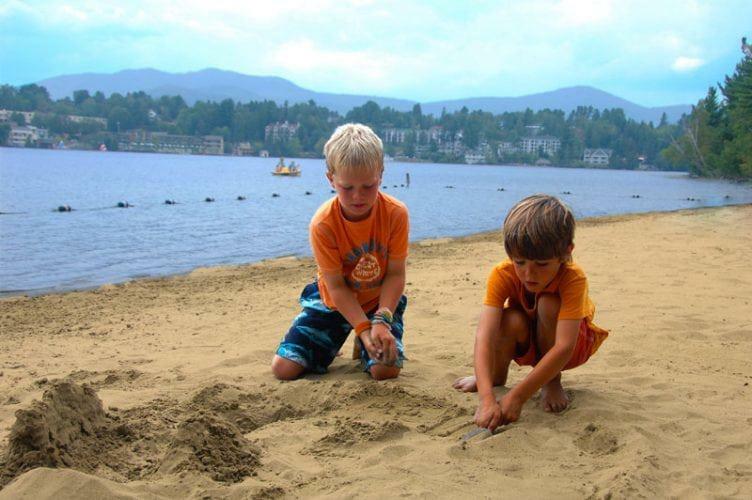 With canoe and kayak access, Lake Placid Village Beach has enough for the family to do all day. Rent paddle boards and make your way on Mirror Lake for a day of water sports. There are shops nearby on Main Street and dining options too. 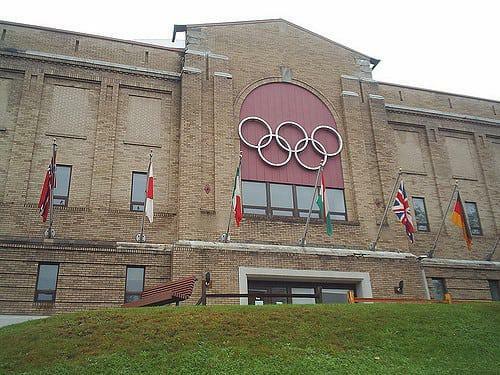 This was the site of the 1980 Winter Olympics and you get to experience the rink the same as many gold medalists. The speed skating oval out front is where history was made in 1932 and 1980 by local Olympian Jack Shea and Eric Heiden. The Olympic Museum shows exhibits of this tiny mountain making waves in the field of hockey and figure skating. Whiteface Mountain is known mainly for its slopes. But summer time allows you to drive the scenic Whiteface Veterans Memorial Highway. You can hike up or drive to the fifth highest peak in New York. Whiteface Lodge is a popular venue to stay at. But if you like you can take in the scenery in the Castle Cafe at the summit. This privately owned nature park is a short drive from Lake Placid. You get access to the Adirondack waterfalls, hiking trails, and views of the Ausable River The Ausable River Mining Company lets you mine and take home your loot. Sturdy bridges will take you along the way. Lake Placid has many sweet treat shops with flavors changing through the year. Catch the summer flavors while you are there. Another summer flavor not to miss is ice cream. 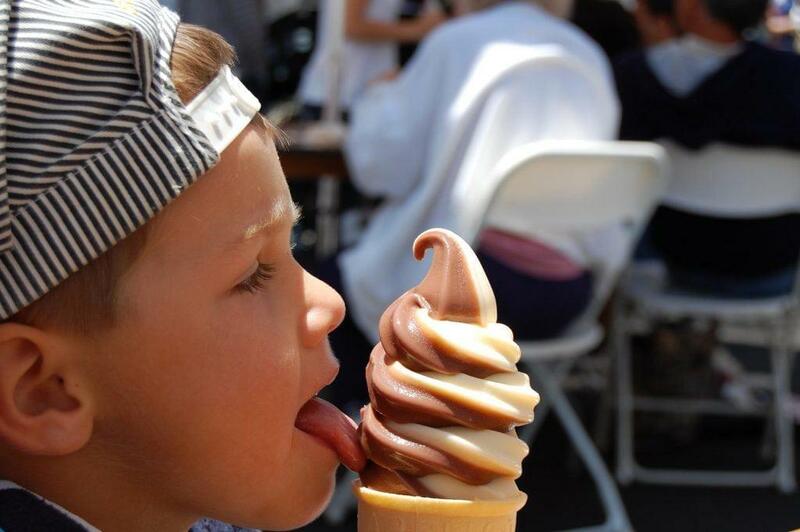 There are many ice cream parlors that you should not miss, like Emma’s Lake Placid Creamery and The Cone Cabin. There are many events that take place every night in and around Lake Placid. We try and bring you as many of these as we can. Click here to see what’s happening in the Adirondacks at the time of your visit. On this page you can search for events that are happening on the dates of your visit. Don’t forget to check this page while you are in the area. We update our events every day.